Falisha Stewart didn’t always make a connection between football and the warmth of home. But in 2003, when the Solo Mom qualified for the opportunity to move with her daughter and mother into a new three-bedroom house in south Atlanta, the two ideas became inextricably linked. Stewart, who arrived at her new address on a November day, immediately encountered several surprises. First, unbeknown to her, the house had been fully furnished; daughter Alisha’s bedroom had even been decorated in the girl’s favorite colors, yellow and blue. Second, Stewart was greeted by Atlanta Falcons’ running back Warrick Dunn, who presented her home to her as part of his charitable Homes for the Holidays program. Many fans know Dunn as the running back who for years distinguished himself on the field for both the Tampa Bay Buccaneers and the Atlanta Falcons. Dunn won the Ed Block Courage Award in 1998, and he’s a member of the 10,000 Rushing Yards Club. 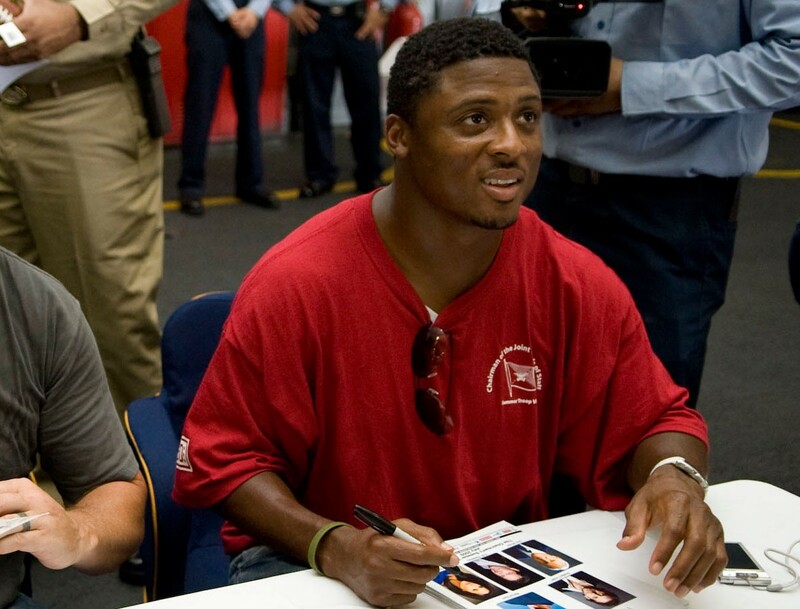 But in addition to his athletic prowess, Dunn has cultivated a spirit of generosity: in 1997, he established the Homes for the Holidays (HFTH) program, followed by the Warrick Dunn Charities (WDC) in 2002. The HFTH program, which partners with Habitat for Humanity affiliates and WDC, helps single-parent families achieve first-time homeownership. The organization assists with home furnishings and down payments, in the belief that a positive home environment contributes to a family’s overall well-being. Dunn started HFTH to honor his own mom, Betty Smothers, a Solo Mom and Baton Rouge, Louisiana police officer, who was killed during an off-duty shooting in 1993. Smothers had taken on an extra job as a security guard to bring in more money for her family; she was shot and killed by three men while escorting a convenience-store manager to the bank. Warrick, 18 at the time, took the death hard. “It was one of those relationships—it wasn’t just as mother and son, we were one,” he told ESPN in 2009. “When she passed away, I didn’t feel like anyone or anything could ever replace that.” He assumed guardianship of his five siblings and used insurance money and funds from a trust set up by the city to purchase a home for his family. Dunn’s grandmother helped him raise his siblings, but family remained a priority—and the comfort and security afforded by having a house to go home to stayed in the athlete’s mind. During Dunn’s rookie year with the Buccaneers, then-coach Tony Dungy challenged his players to become more involved in their communities. It was then Dunn decided to establish a nonprofit that would honor his mom and help others realize the dream of homeownership.